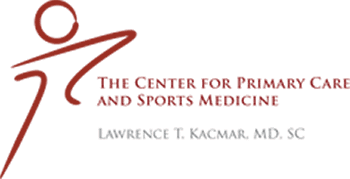 Preventive medicine can help head off problems early; as a specialist in that field, Dr. Lawrence Kacmar provides primary, preventive and sports medicine services to residents of Aurora, Illinois at the Center for Primary Care and Sports Medicine. The idea behind preventive medicine is like the old saying, “An ounce of prevention is worth a pound of cure.” It is much better (and often easier and less expensive) to prevent chronic diseases when possible. Since many of the problems that afflict Americans are related to long-standing health or lifestyle habits, identifying potential problems early can help patients make changes before damage is permanent. For example, diabetes usually occurs after years of poor diet and weight gain. By the time the condition is diagnosed, the patient may already have eye, nerve, or kidney damage. 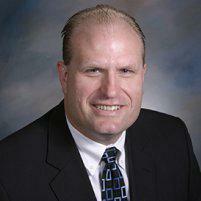 Preventive medicine physicians are usually family practice doctors, internists, or pediatricians. Is Preventive Medicine a Specialty? No matter what the specialty, all physicians practice preventive medicine to some degree. Preventive medicine is a recognized specialty (actually there are several sub-specialties as well), which includes aerospace medicine, occupational medicine, and public health and general preventive medicine. The focus in aerospace medicine is to prevent problems from risks like radiation or weightlessness, while occupational medicine deals with preventing on-the-job injuries or disease from occupational exposure to conditions like noise. Public health specialists focus on community health. It is the last specialty that most people mean when they refer to preventive medicine; the focus is in preventing chronic disease based on an individual’s family history and risk. What is Included in Preventive Medicine? The key term is prevention. For example, immunizations can prevent diseases like whooping cough and tetanus; a preventive medicine specialist analyzes potential risks for an individual patient and administers or makes recommendations for immunizations. Other preventive medicine techniques include regular physical examinations to identify problems with weight gain, mobility or organ function or to check for skin cancer, vision impairment or hearing problems. Doctors perform cancer screening tests like Pap smears, or routine lab tests to identify problems. A key factor in preventive medicine is patient education and support, as preventing disease typically includes lifestyle changes and patient self-management.